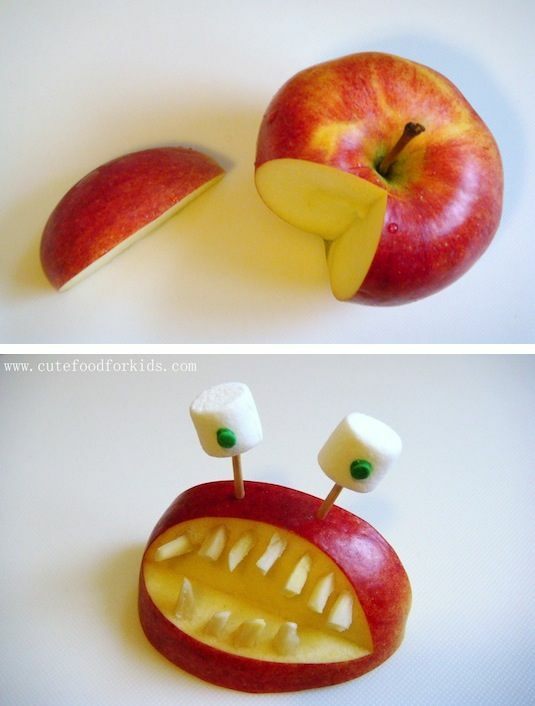 This apple monster is just begging to be eaten! I love how the almond slivers make for such gnarly teeth. 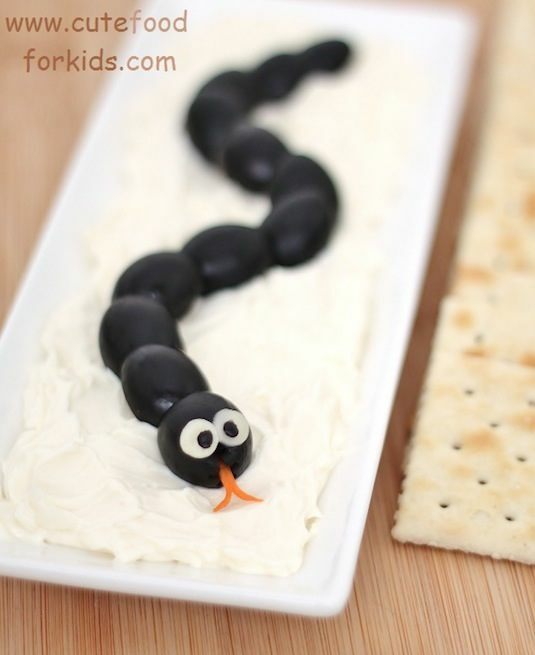 You could even place a bit of peanut butter in the mouth or use another piece of apple to make a tongue.